The Amazon Fire TV Stick is becoming one of the most popular set-top streaming box options. It is capable, inexpensive, and easily accessible through Amazon. 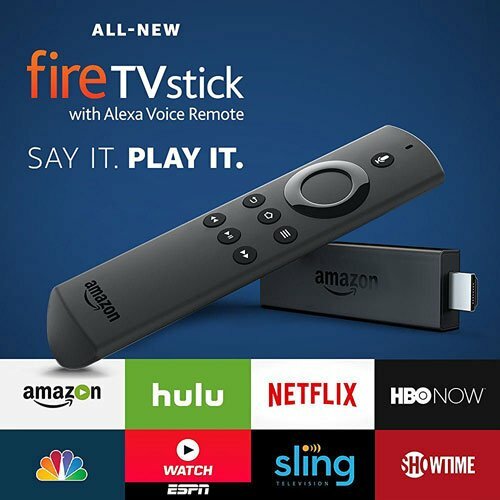 But if you are new to the world of set-top streaming devices, or if you are considering a switch to the Fire TV Stick from something else, then our list below outlines some of the most commonly asked questions that we have discovered when it comes to this curious little device from Amazon. Question 1 – Does the Amazon Fire Stick need Internet? Answer 1 – Yes, the Fire Stick does require Internet, even if you want to stream content from your local network with an app like Plex. The Fire TV Stick’s Home interface will not load without an Internet connection, which will leave you without the ability to access the Plex app. Question 2 – Do You Need WiFi for the Amazon Fire Stick? Answer 2 – Yes, you need to have a Wi-Fi or wireless network for the Amazon Fire Stick to work. The device does not have an ethernet port, nor does it have a way for you to connect external media. The only way for you to consume content with the Fire Stick is by connecting it to a Wi-Fi network. If you want a device that you can use with a wired connection, or by connecting physical media, then you will need to use something like the regular Fire TV or the Roku Ultra. Question 3 – What are the Amazon Fire Stick requirements? Answer 3 – The Amazon Fire Stick requires an HDMI port, a Wi-Fi network (and ideally an Internet connection with at least 3 Megabits per second capacity, though this is not technically required), and a nearby power source that can provide power to the Fire Stick. You can use the Fire Stick on a TV without an HDMI port if you use an HDMI converter instead, but that solution will result in a lower-resolution video, and can have playback issues due to something called HDCP compliance. Question 4 – Where can I buy the Fire Stick? Answer 4 – You can buy the Fire Stick from Amazon, as well as several other retailers like Best Buy or Wal Mart. Question 5 – What are the Amazon Fire TV Internet speed requirements? Answer 5 – While there are no specific speed requirements to use the Fire Stick, there are some general recommendations based on the type of video that you want to stream. These guidelines come courtesy of Netflix. You can check your current Internet connection speed by going to fast.com. Note that you will want to do this from nearby where you will be putting your Fire Stick, as proximity to your wireless router can affect the download speeds that you can achieve. Question 6 – Do you need Amazon Prime for the Fire Stick? Answer 6 – No, you do not need Amazon Prime for the Fire Stick. However, if you want to access the Amazon Prime streaming library without paying for each movie or TV episode, then you will need a Prime subscription. You can view the Prime library here. Additionally, even with a Prime subscription, there are movies that you can only watch by paying for them. You can view the Amazon Instant Video library here. Note that only the movies with the Prime banner on them are part of the Amazon Prime streaming subscription. Anything else must be purchased. Question 7 – Do I need an HDMI converter for the Amazon Fire Stick? Answer 7 – If the TV on which you plan to use the Fire Stick does not have an HDMI port, then yes, you will need to use an HDMI converter if you want to use the Fire Stick on that TV. You can view an HDMI converter here to get an idea of what they are, and how much they will cost. Note that you will also need RCA cables (the red, yellow, and white ones, like these) to then connect the HDMI converter to the TV. If you elect to use an HDMI converter with the Fire Stick, you will get a maximum resolution of 480p, as that is the highest that an RCA connection is capable of outputting. Additionally, you may get HDCP compliance warnings due to the downgrading of the HDMI connection to your TV. This isn’t something that is easy to predict. It is an issue for some people, but not for others. Question 8 – What does the Fire Stick do? Answer 8 – The Fire Stick lets you stream Internet or network video to your TV. This means that you can watch videos from Netflix, Hulu, Amazon Prime, YouTube, and more through the Fire Stick. You can also use apps like Plex to turn your home computer into a media server and stream locally-stored videos over your network to your television. The Fire Stick is wireless, so you will need to have a wireless network in your home. You can then connect the Fire Stick to your home network, then use it on any HDMI-compatible television that is within range of the wireless network. The Fire Stick is similar in function to other devices like the Roku, Apple TV, or Chromecast. Question 9 – Can I watch Hulu Plus on the Amazon Fire Stick? Answer 9 – Yes, you can stream content from Hulu on the Fire Stick. There is a free app available through the app store on the Fire Stick that you can download to the device. You can then sign into Hulu with your Hulu account email address and password to stream content from that service on the Fire Stick. Question 10 – What Fire Stick movies can I watch? Answer 10 – You can watch any movies on any of the Fire Stick-compatible streaming channels for which you have a subscription. Most of the more popular streaming channels are available on the Fire Stick, including Amazon Prime, Netflix, Hulu, YouTube, HBO, and more. You can view the apps available for the Fire TV here. Question 11 – How many Fire Sticks can I have per Amazon account? Answer 11 – You can definitely have multiple Fire Sticks on one account, but I can’t seem to find anything about a limit. It’s possible that one does not exist. This Amazon support article goes into detail on the process of registering and de-registering Fire TV devices on your account. Question 12 – Can I set up the Fire Stick without an Amazon account? Answer 12 – No, you cannot set up the Fire Stick without an Amazon account. However, an Amazon account is free to set up and, if you have never had one before, you can even get a free Amazon Prime 30-day trial to see if you would gain anything by using the free shipping and video streaming it provides. Question 13 – What is free on the Amazon Fire Stick? Answer 13 – There are some channels that provide you with access to free content, such as YouTube and some streaming channels provided by television networks. You might also be able to get access to some of these channels if you have a cable subscription and your cable provider provides access to those channels. For example, you can use FXNow if you have a cable package that includes FX and they support your provider. Question 14 – How to connect the Amazon Fire Stick to WiFi without a remote? Answer 14 – This seems to be an issue that comes up for people that are traveling with the Fire Stick, but have forgotten to bring along their remote control. The only way to get around this is if you have previously connected to a Wi-Fi network, and you have a device handy (like an iPhone) that can create a Personal Hotspot. Download the Fire TV remote app to your phone. Change the Personal Hotspot name to match the name of your Home network, or whichever network the Fire Stick was previously connected to. Change the Personal Hotspot password to be the same as the one for the network to which the device was previously connected. Turn on the Fire Stick and wait for it to connect to your Personal Hotspot, then use the Fire TV Stick remote app to change the Wi-Fi settings to the network to which you wish to connect. This will, however, end the connection between the remote app on your phone and the Fire Stick. Connect your phone to the same network to which the Fire Stick is now connected, and you should then be able to use the Fire TV remote app to control the Fire Stick. This may not work for every possible situation, but is the theoretical solution if you need to use the Fire Stick on a different Wi-Fi network and you don’t have the remote control. Question 15 – How to use an Amazon Fire Stick? Answer 15 – You connect the Fire Stick to the HDMI port on your TV, then you connect the power cord to the Fire TV stick and plug it into an outlet. Turn on the TV and switch the input to the one with the Fire Stick. Follow the on-screen instructions (using the included remote control) to complete the setup, which will include connecting the Fire Stick to your Wi-Fi network. Download any additional streaming apps that you wish to use, sign into those accounts, then start streaming your video content. Question 16 – Can I use the Fire Stick on a TV without HDMI? Answer 16 – Yes, you can use an HDMI converter (like this one) to connect the Fire TV Stick to a television that does not have an HDMI port. You will also need RCA cables (the ones with the red, white, and yellow plugs) to then connect the HDMI converter to the television. You can click here to read reviews about the Fire TV Stick, or to purchase it from Amazon.